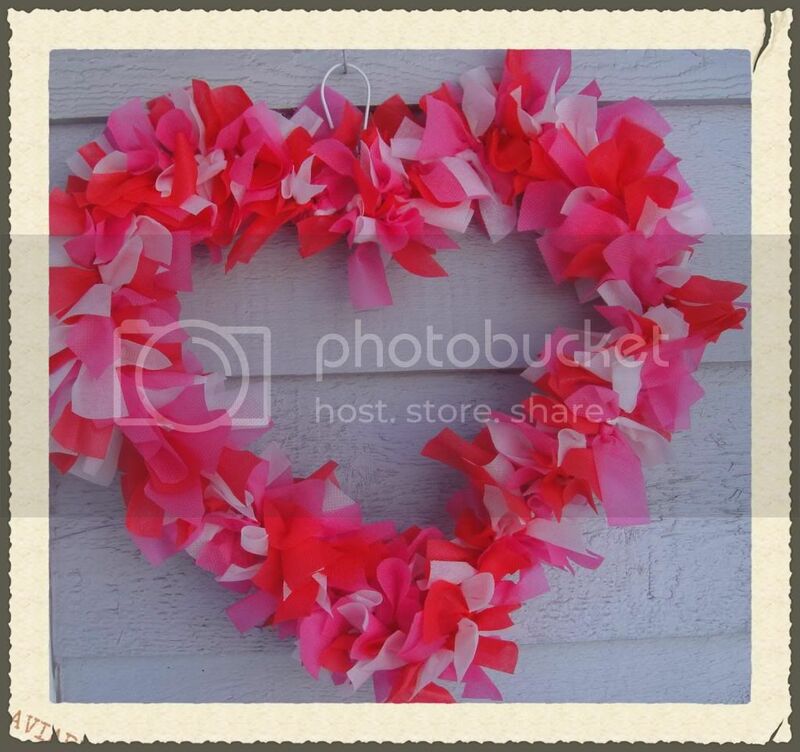 Welcome LOVE into your classroom or home with this fun and frilly Valentine's Day door wreath you can make yourself! 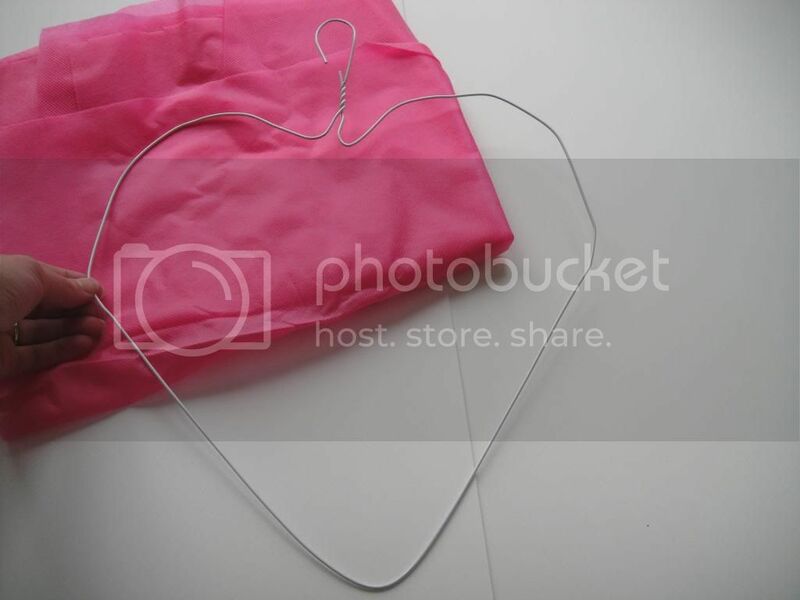 1) Bend your wire hanger into a heart shape. Pull down at the center of base, pull sides out, push hanger section down into a "v" at top. You might also wish to tighten the loop of your hanger into a circle depending on how you plan to hang your heart wreath. 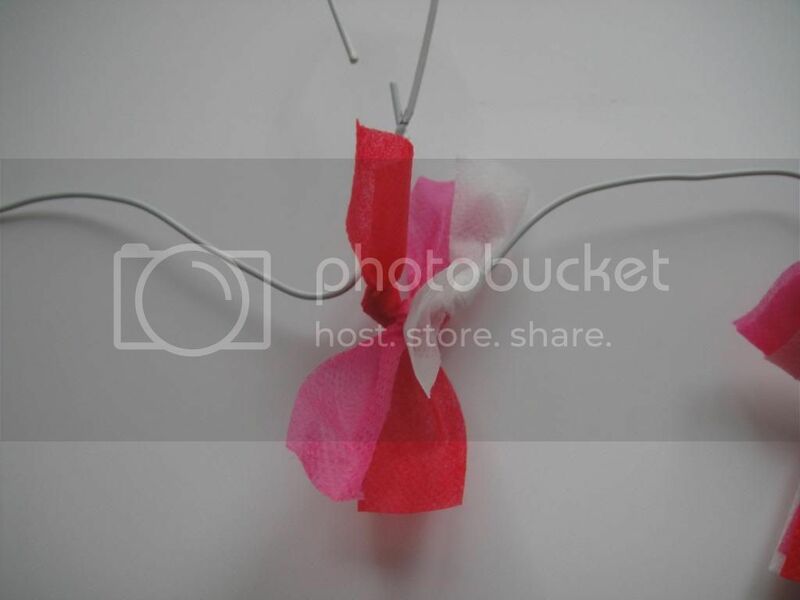 Ours will be hanging from the ceiling on a ribbon so we chose to tighten our loop. 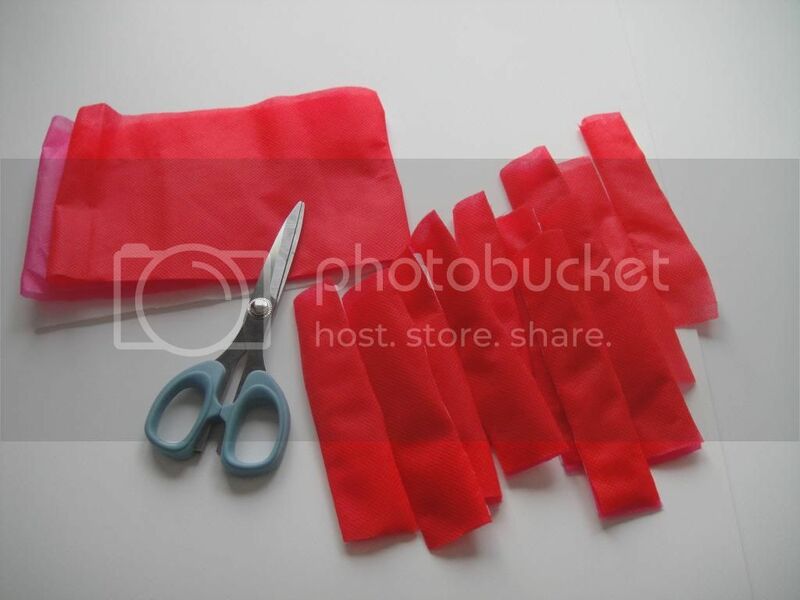 2) Cut strips from your Smart-fab. Cut 5 inch strips (lengthwise) from each of your Smart-fab strips. 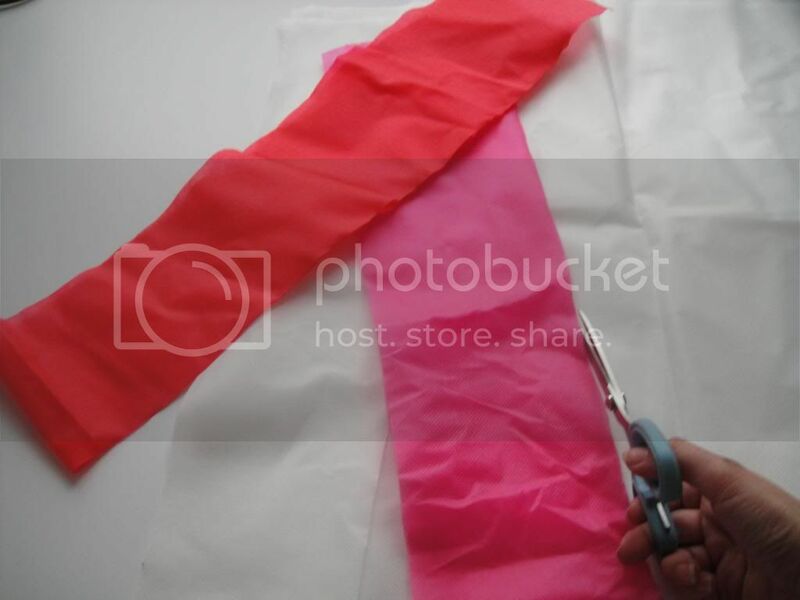 You should be able to cut 3 strips (5 inch x4 feet) from each color. 3) Stack your Smart-fab strips together and cut again. This time cut 1 inch x 5 inch strips going across the length of your strip. You should be able to cut 48 strips (1 inch x 5 inches) from your strip. Stacking the Smart-fab will make this a much faster process. Note: Strips do not have to be perfectly straight. This will add more character to your wreath. You will also be able to trim your wreath at the end of the project. 4) Separate the strips into piles by color. 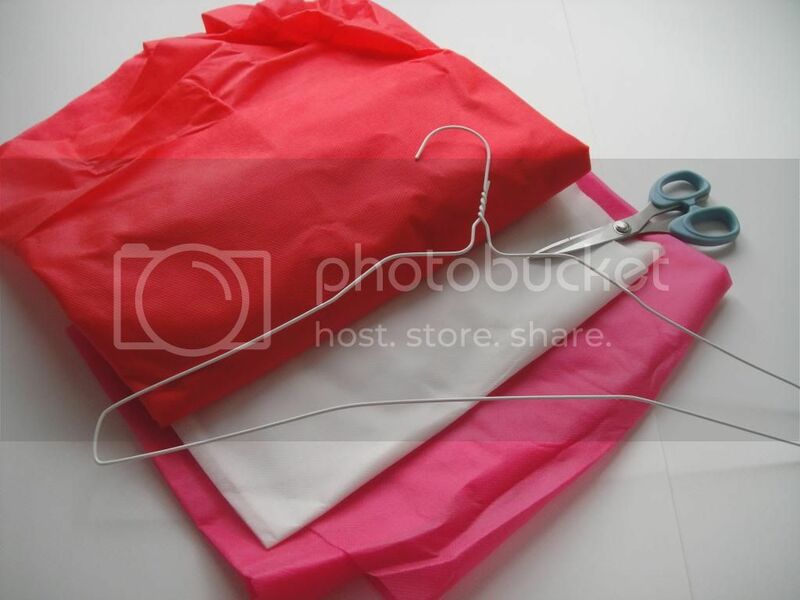 5) Start at one side of the loop and tie strips of Smart-fab to your hanger. One simple knot is all you need! Alternate the colors as you go. Tie one red, one pink, one white and then begin with red again. 7) Adjust your ties as you go. You will want to spin your ties and alternate their direction so that the knots are not all facing out. Spin and fluff your knots as you continue to tie around your wreath. You will also want to continuously push your ties close together. 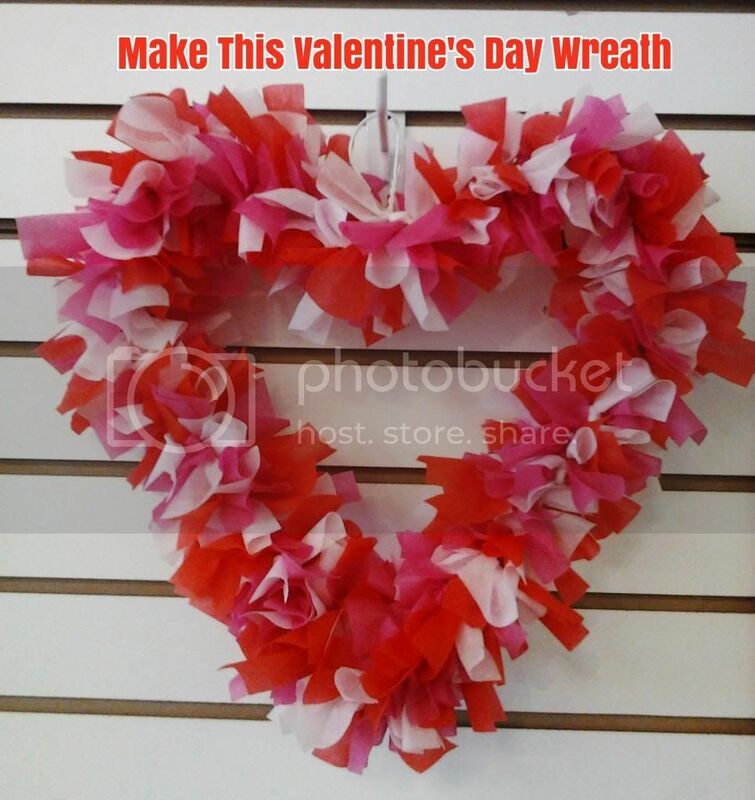 The more strips you tie to your wreath the frillier it will be! 8) You've made it! When you've reached the end of your wire heart look for places on your wreath that need adjusting. Give your wreath a once over with the scissors to trim any ties that appear to be too long and tighten up the shape of the heart by bending your wire more if needed. 9) Hang your heart. 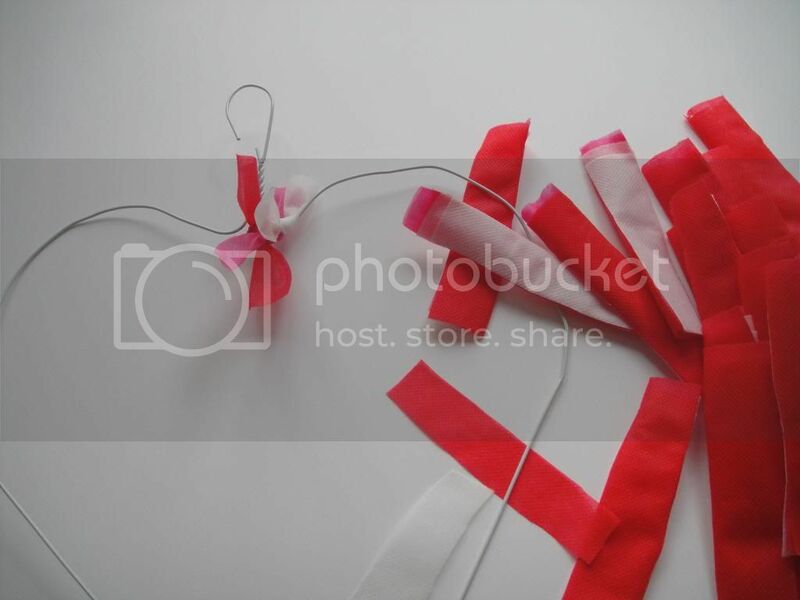 Use coordinating ribbon and a ceiling hook to hang your heart from your classroom ceiling. 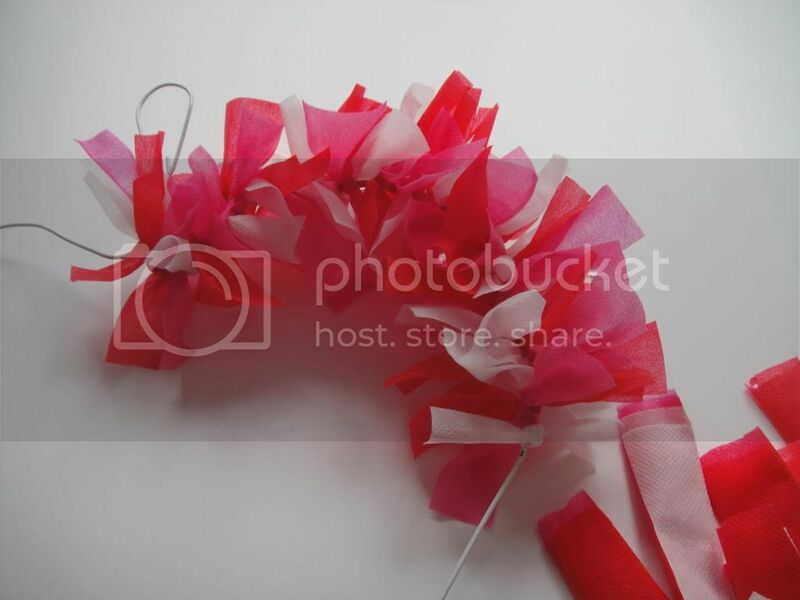 Use a wreath hanger on your classroom door to welcome in love! Don't forget: Smart-fab is perfect for outdoor use. 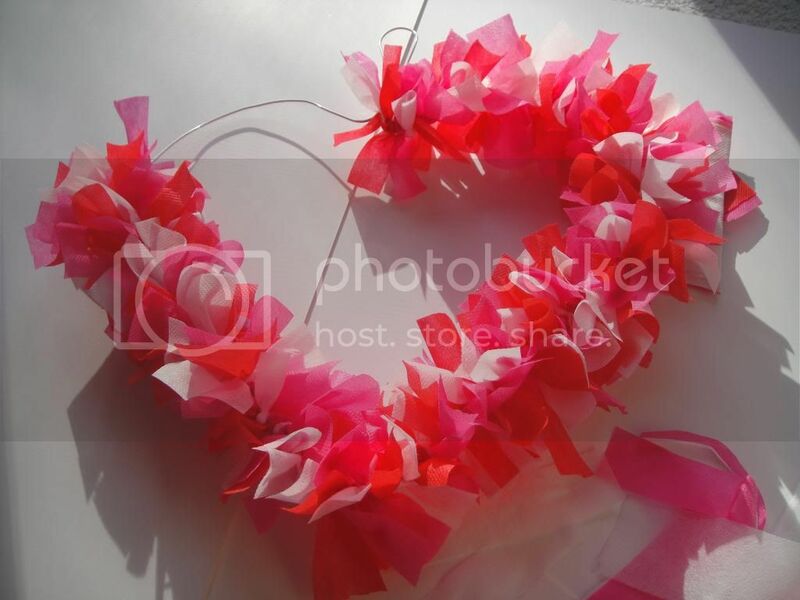 It is fade resistant and waterproof making your new frilly Valentine's Day wreath perfect decor for outside your home!